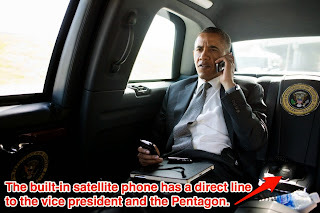 As a president of a superpower country such as Barack Obama would get super tight guardian, including the presidential car. 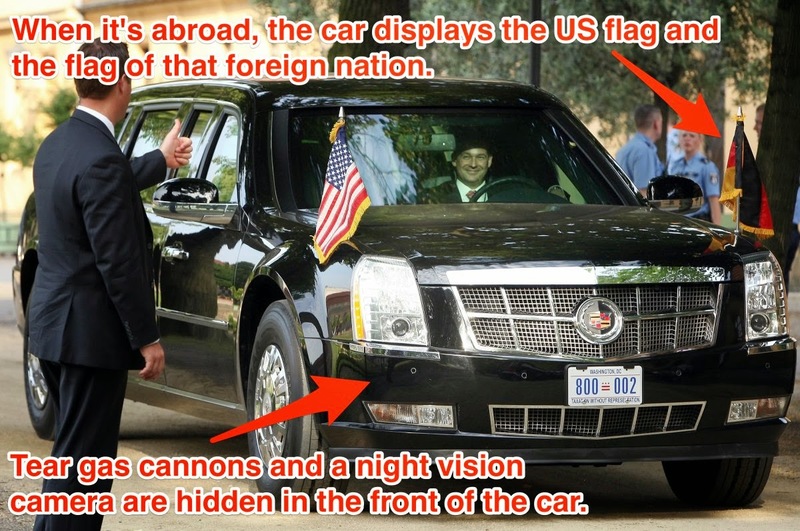 One such car is the Cadillac One or better known as 'The Beast'. 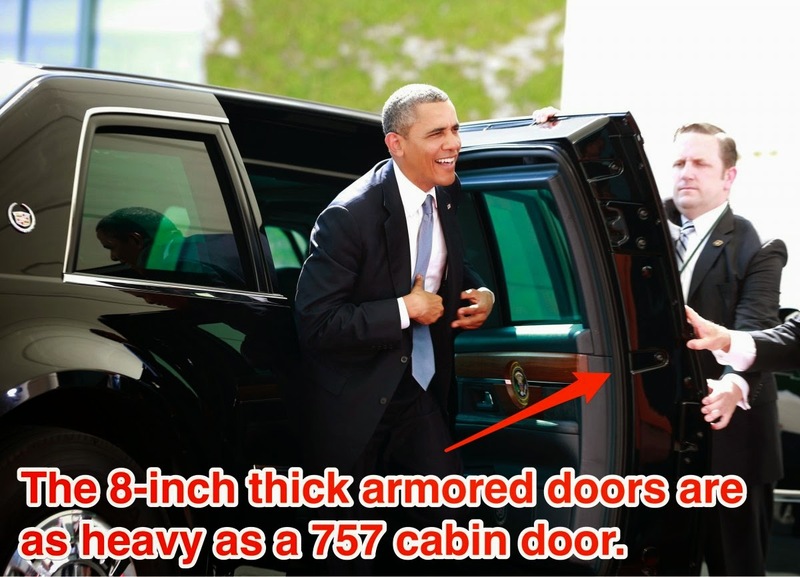 As reported, the car is built on a GMC truck frame with a Cadillac limousine body. It specially designed by the Secret Service, the car is predicted to cost US $1 million, or approximately Rp.13 billion. 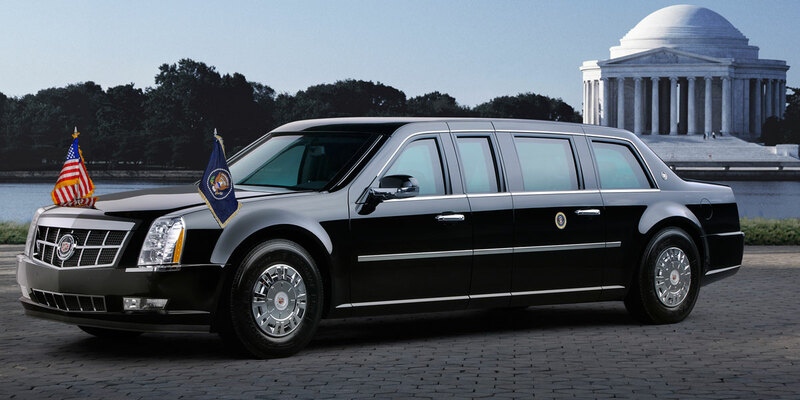 With a closer look at this car, we will know how tight guard for United States President. As reported by Bussines Insider on Thursday, Feb 10, 2015, The Beast is able to withstand bullets and bombs. 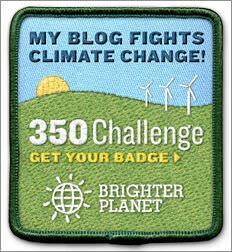 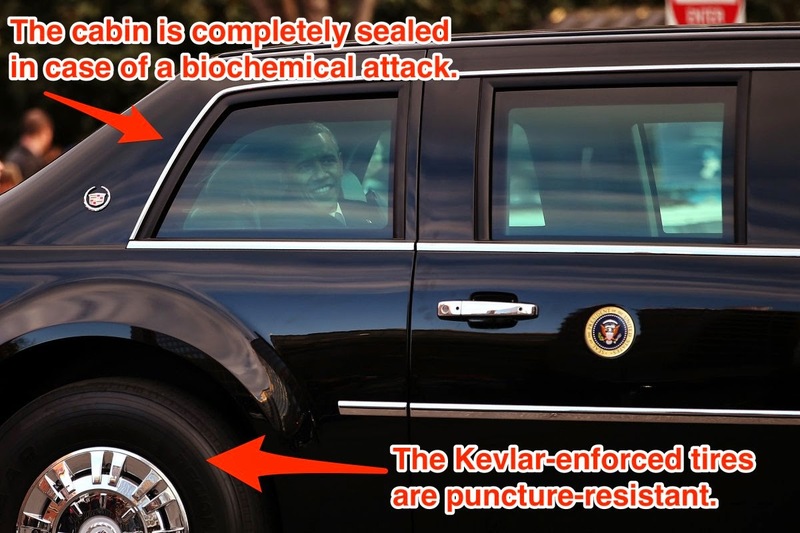 If not used, the car is parked in the basement of the Secret Service headquarters in a full 24-hour surveillance. 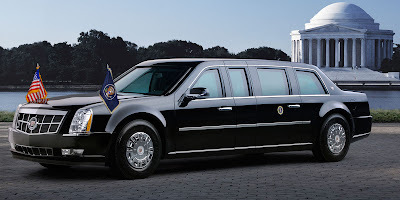 When in use, the presidential motorcade will consist of at least two cars were surrounded by a maximum of 45 other armed vehicles, including local police cars, and ambulance, communications center vehicles. 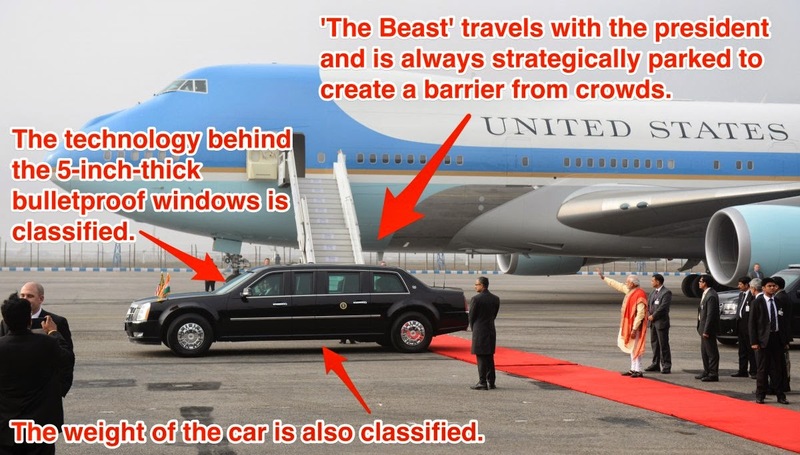 Some of the advantages of The Beast which is touted as totally bulletproof and even bombproof. 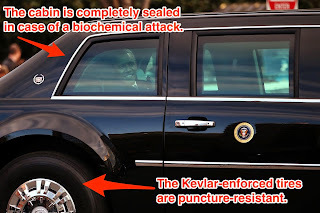 The passenger cabin where the US President was even able to block the biochemical attack. 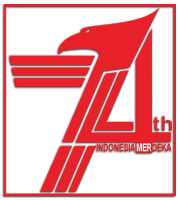 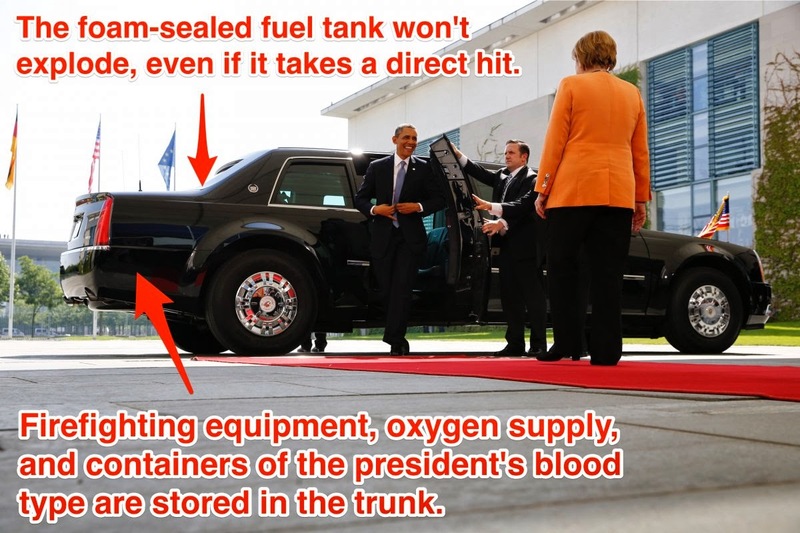 Its fuel tank was specifically designed so it can not explode because coated by special foam. 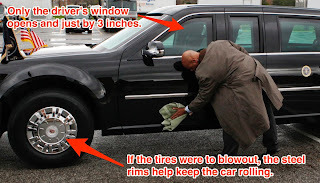 If when the car tires exploded, it will not stop. Because the steel rim is able to keep the car rolling. 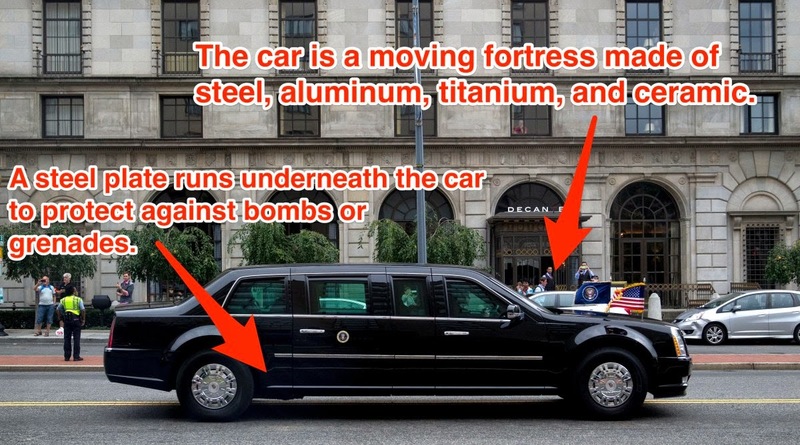 Many details are classified for security reasons, but the information that was released give us an idea of what was this US Presidential Car has. 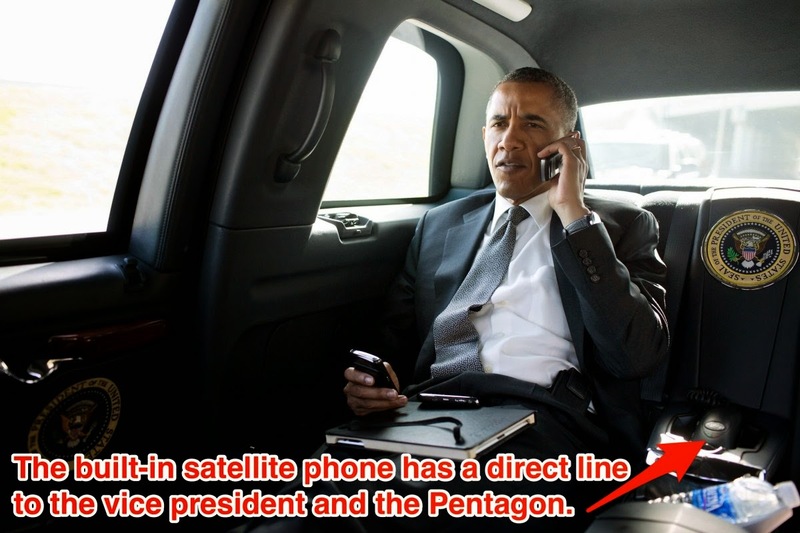 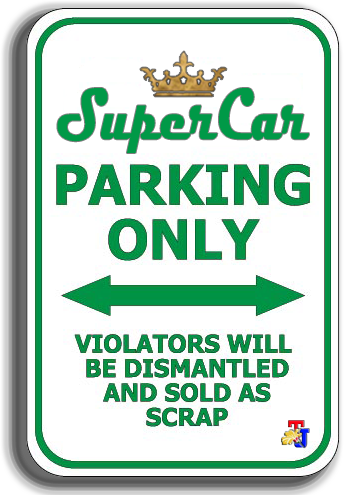 Not only for defense, the US Presidential car is also able to strike if necessary. The assault features are located at the front of the car, which is a set of tear gas cannon and night vision cameras. 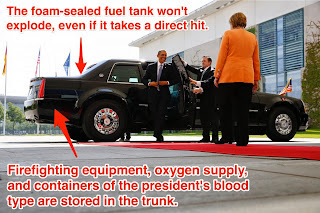 This car uses a V8 gasoline engine that acts as a propulsion source, with a gas mileage of 8 mpg. 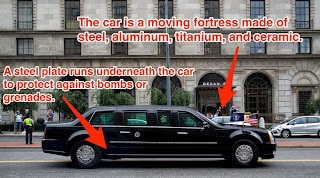 Even though this massive car has an acceleration from 0 to 60 mph in 15 seconds, because basically it is a tank which trapped in the car body.